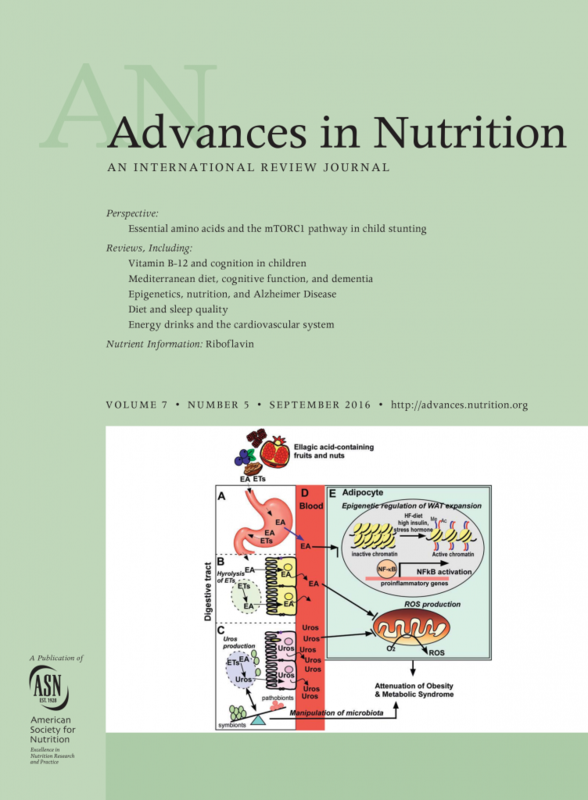 On the Cover: Improvements in metabolic health with consumption of ellagic acid. Inhae Kang, Teresa Buckner, Neil F. Shay, Liwei Gu and Soonkyu Chung. September 2016. Improvements in metabolic health with consumption of ellagic acid and subsequent conversion into urolithins: Evidence and mechanisms. Advances in Nutrition 7(5): pp. 961-972. Soonkyu Chung is an assistant professor in the Department of Nutrition and Health Sciences.